Every day I buckle on my guns and go out to patrol this dingy city. I’ve been doing it so long that I’m shaped to it, like a hand that’s been carrying buckets in the cold. The winters are the worst, struggling up out of a haunted sleep, fumbling for my boots in the dark. Summer is better. The place feels almost drunk on the endless light and time skids by for a week or two. We don’t get much spring or fall to speak of. Up here, for ten months a year, the weather has teeth in it. It’s always quiet now. The city is emptier than heaven. But before this, there were times so bad I was almost thankful for a clean killing between consenting adults. Yes, somewhere along the ladder of years I lost the bright-eyed best of me. That’s how Marcel Theroux begins Far North, his fourth and likely best novel. A finalist for the National Book Award in 2009, I came across this gem when a friend whose taste I trust pointed it out on my store’s shelves. “That’s a good book,” he said, taking it down and handing it to me, as if he were the bookseller and I the customer. “Holds up the whole way through.” I opened it to the first page, read the lines above, and was instantly hooked. Far North is the saga of Makepeace Hatfield, constable of the empty town on Evangeline, located above the Arctic Circle in Irkutsk, Siberia. 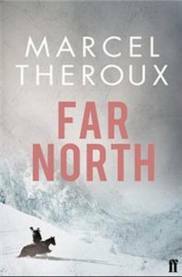 Exactly what a character who sounds like the hero of a western is doing in Siberia is hidden from you at first, but over time and with great deliberation Theroux fills in the picture of the world and how it came to be that way. It’s a post-apocalyptic story, one that will inevitably be compared to The Road for both its subject matter and its greater vision of humanity when what civilizes us is stripped away. Perhaps that’s unfair or unfortunate; in style, Theroux is more Margaret Atwood than Cormac McCarthy, and he concentrates more on his plot while staying true to his narrator’s voice. The book is packed with surprise twists of both plot and character, but none feel like cheap tricks to keep you reading. In a spectacular use of misdirection, Theroux springs the first one on you at the start of the third chapter; you feel like you’ve had the rug whisked right out from beneath you as your assumptions about Makepeace are shown to be very much wrong, but from there, Makepeace continues to surprise you without sleight-of-hand. Masterfully paced and magnificently structured, Far North transports you to its world and keeps you there until you finish it. It’s a gripping adventure driven by a realistic character incapable of wishful thinking. From start to finish, you believe if anyone would survive in those conditions, it would be Makepeace Hatfield. But what sets Far North apart amid the bleak landscape of end-of-days stories dating back to On The Beach and beyond is its stubborn hope. Even though there’s no reason for it, even with all signs pointing to the contrary, Makepeace never gives up hope, and not in the mawkish chin-up kind of way that causes people to use words like “plucky” or “feisty”, either. It’s not the kind of faith that holds everything will work out in the end, since obviously it won’t and it can’t, but it’s nevertheless a sincere hope, like some flower on the tundra, the kind that never expects to grow. My reading list is already long enough without you writing great reviews of interesting books.